WWF today publishes a list of cruise and passenger ship operators who have made a commitment to cease dumping their sewage in the Baltic Sea. Despite positive replies from many ferry operators, only one cruise ship operator is willing to make a commitment to cease this practice. Few individual cruise companies have responded directly as most have chosen to respond through their trade organization, Cruise Lines International Association (CLIA), by saying that they are not willing to make such a commitment. On the other hand, among the 21 international ferry lines contacted, eleven operators have confirmed that they already dispose of all their sewage at port reception facilities. 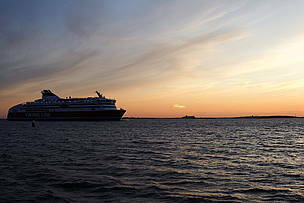 In 2010 the International Maritime Organization (IMO) took a welcome decision to ban the discharge of sewage from cruise and passenger ships in the Baltic Sea – with the requirement that it would only go into effect once adequate port reception facilities were made available. The decision was criticized by the cruise industry. All of the Baltic Sea countries, with the exception of Russia, have now notified the IMO regarding the adequacy of these facilities and have proposed dates for the ban to come into effect. This issue is now being opposed by the Cruise Industry through CLIA, and is expected to be addressed during a meeting of the IMO taking place this week. The Baltic Sea is each summer trafficked by around 80 different cruise ships operated by around 40 different cruise companies, making more than 2000 calls in Baltic Sea ports. A large number of these ships are still legally dumping their sewage into the Baltic Sea despite the fact that the major ports around the Baltic Sea now have reception facilities that can handle the large amounts of sewage onboard the cruise ships. Some smaller ports have less capacity but even these can receive the sewage, it would just take a little bit longer time to offload. Once on land, the sewage is processed at municipal waste water treatment plants. While some ships do provide some treatment prior to discharge, the treatment processes used in most cases does not effectively reduce nutrient discharges in accordance with international standards (at least 70% reduction in nitrogen and 80% reduction in phosphorus) which means that these discharges continue to contribute to the problem of eutrophication in the Baltic Sea. 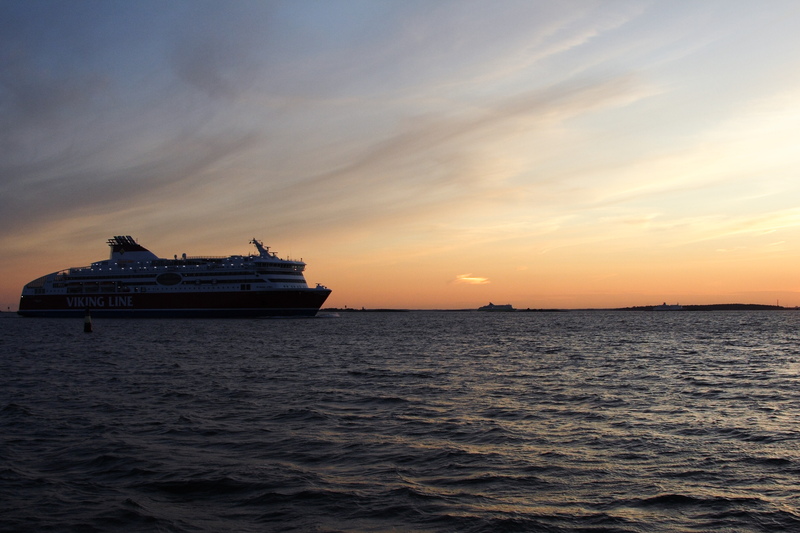 In 2011 the International Maritime Organization (IMO) took a decision to ban the discharge of sewage from cruise and passenger ships in the Baltic Sea – with the requirement that it would only go into effect once sufficient port reception facilities were made available. Baltic Sea countries have thus been required to report back on their capacity to receive this waste and a joint submission on this through HELCOM has been delayed due to political disagreements. except when the following conditions are satisfied: the ship has in operation an approved sewage treatment plant, which has been certified by the Administration to meet the operational requirements referred to in regulation 9.2.1 of MARPOL Annex IV, and the effluent shall not produce visible floating solids nor cause discolouration of the surrounding water. Thus a decision from the IMO MEPC is expected this week yet CLIA and the Russian Federation are arguing against bringing the ban into effect. Already in 2007, WWF contacted cruise operators trafficking the Baltic Sea and asked them to sign a ‘Statement of Commitment’ to cease discharging (or continue not discharging) sewage from cruise ships visiting the Baltic Sea. In May 2009, following our request, the cruise lines, through their umbrella organisation ECC/CLIA, finally made a voluntary commitment to stop discharging their sewage in the Baltic Sea “when certain conditions were met”. These conditions included “adequate port reception facilities which operate under a ‘no special fee’ agreement”. WWF and its partner organizations in the nine coastal countries bordering the Baltic Sea have been actively engaged through our advocacy work also with the ports and through HELCOM’s work on this and understand that these conditions are now met in the major ports around the sea. WWF Finland conducted a survey of 200 cruise passengers in the Helsinki Port on 10 May where 95% of cruise ship passengers said they were against dumping sewage into Baltic Sea and 93% expressed their will in the future to choose a cruise ship company that does not dump untreated waste water into the Baltic Sea. This confirmation was asked to assure that all sewage is either brought ashore for treatment or effectively treated on board the ship using the best available technology – i.e. ensuring that nutrients are effectively reduced (at least 70% reduction in Nitrogen and 80% reduction in Phosphorus).